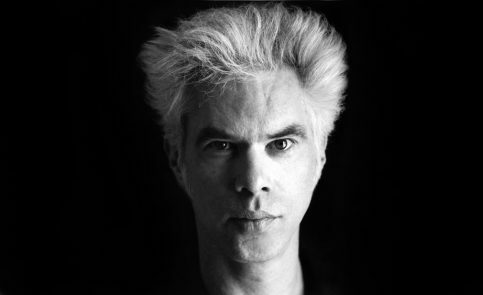 Mr. Jarmusch, you’ve lived in New York for over 40 years. Do you consider yourself a New Yorker? I have lived there for so long, but I am not a New Yorker. Originally I am from Akron, Ohio, which borders Michigan. Whenever anyone says I’m a New Yorker, I cringe. I’ve also lived in Berlin. I love Tokyo, it’s so bizarre and beautiful. I love Paris in the springtime. I love Rome. I love cities! I think of cities as my lovers. Yeah, I had some really beautiful lovers. I still do. But if I didn’t have family or friends, and I just wanted to go away from the world, I would go to Tangier in Morocco. I like being in a culture that is not alcohol-based, that is hashish-based. The city has a celebratory sense of music and culture. I feel good there. I’d love to disappear there. But you know, I’m going to Mexico City later this year. I’ve never been there but all my friends have been saying, “Jim, we are afraid that if you go to Mexico City, you will never come back.” (Laughs) So, I’m excited to go there. What kind of role did cinema play in your upbringing in Akron? In Ohio, I’d seen Attack of the Giant Crab Monsters and this kind of thing, which I loved, but it wasn’t until I got to live in Paris at age 20 that my love of cinema got a big injection. I was an exchange student there for nine months and I got incomplete on all my studies because I was in the cinema in Paris every day! I would stay in the theater between showings, seeing films from India and Japan and Hollywood films that I didn’t even know existed. I was discovering Edward Dmytryk, Yasujirō Ozu, Mizoguchi, Brazilian new wave… Wow! I didn’t know cinema could have all these things. My head was going around and it has never stopped since. Do you think that modern cinema can still be as poetic as Ozu’s Tokyo Story, for example? I have seen films that are incredibly poetic! The kinds of films I see are from everywhere, they are all types of films. But I am not Mr. Mainstream. The problem with Hollywood studios is that they are cowardly. They’re afraid of anything where they can’t evaluate the demographic! It’s like, “It reads like The Graduate, but it’s got to be more like Love Story.” Why can’t it just be its own thing? What are they so afraid of? So they dig their own grave as far as any kind of innovation. It’s a miracle anything innovative comes out of this studio system, because they are afraid of anything that they can’t imagine how it’s going to be marketed. They are afraid of daring to do anything artistic. But maybe they should be, because it’s a business. I used to have very, very, very deep misgivings about that. But Amazon Studios, which picked up your last two films, is also a business. True, but all of it is a business. My French distributor is a business, but he is also a cinephile. So if I mention Dziga Vertov’s films to him, he knows exactly who I am talking about. If I mention Dziga Vertov to someone in Hollywood, they go, “Is she a Russian model?” They don’t know what movies are. Sam Fuller told me once: “These people in LA, they used to run underwear factories, and now they tell us how to make movies.” What kind of thing is that? But my relationship with Amazon has actually been excellent. Based on what you’ve said, though, you must have been at least a little hesitant. My initial concern was that I wanted a theatrical release. Some other companies go straight to streaming. I didn’t want to make a film that would go straight to video on demand. I had endless initial conversations with them about this, and their window actually lengthened remarkably. Our business relationship is way different than ever before because the landscape has changed. I don’t take part in the same things that I used to, but I have total artistic control. Has it gotten harder for you to realize that artistic vision? Well, it has gotten harder and harder to get the films financed and very hard to get a decent deal. I have a little business. I am independent and I have an overhead. I saved some money over the years, and now it is going down because I am financing my own thing. Nobody is going to step up for that. Is that why you will sometimes step up for other filmmakers, put your name on films that need the support? My thing is, if they make interesting films, where my name might help, I am happy to give it to them. But I always tell them: Don’t come to me for advice for your film. I am not going to give you notes nor am I involved in your edit. I am going to give you my name so you can make your film. I have done this with a few films. I want to protect some interesting new filmmakers to make their film and not be sucked away and told how to do it. But at the same time, it’s rough for me because financially I can’t support my own business very well. It used to be very nice. And now you can’t afford a place in a retirement home anymore? Probably not. Just dig a hole. (Laughs) I started Gimme Danger almost eight years ago. I spent almost $40 000 of my own money and realized I can’t pay my rent, what have I done? 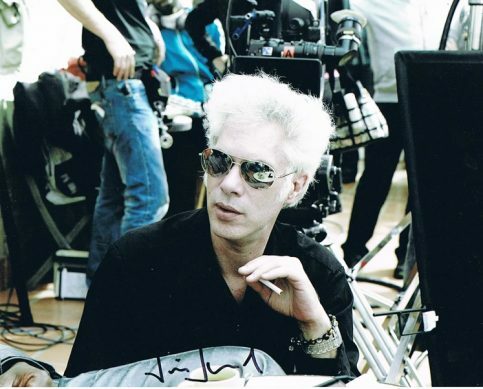 So I stopped and we prepared Only Lovers Left Alive.Then we got a very wonderful financier for Gimme Danger and started working on it again while editing Only Lovers, then we stopped again to make Paterson and then continued while editing both at the same time. 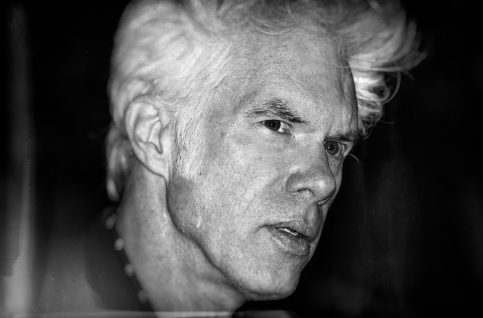 I would go from the Lower East Side in New York from the editing room of Gimme Danger, walk across to the west side and work all afternoon on Paterson. I am so proud of this film. The Stooges are one of the greatest, if not the greatest rock ‘n Roll bands ever. I deeply love them. The film is not a documentary, it’s more a love letter. When I was a teenager, our huge inspirations were the MC 5, The Stooges and The Velvet Underground. These were our bands. We were not into the west coast Crosby, Stills, Nash thing, at least my group of friends wasn’t. So this was what spoke to us. And because of that it was Iggy — we have been friends for a long time, and he said to me eight years ago, “Man, if somebody makes a film about the Stooges, it should be you.” And I said, “Are you asking me to make a Stooges film? Because I’ll start tomorrow!” And I did. Posted by world.pulse on 7. November 2017.. Filed under Movies. You can follow any responses to this entry through the RSS 2.0. Both comments and pings are currently closed.